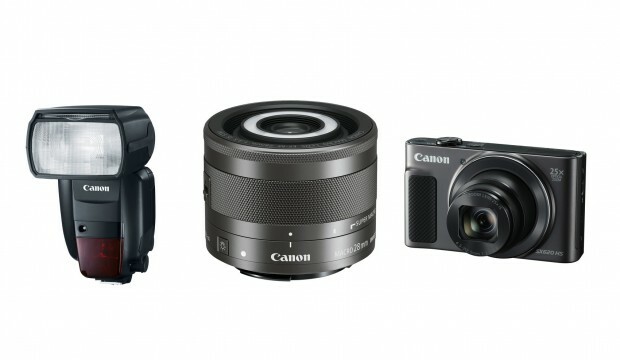 Canon EOS M50, Rebel T7, Speedlite 470EX-AI Flash Announced ! Author CameraeggPosted on February 26, 2018 Categories Canon EOS Rebel T7, Canon FlashTags Canon EOS M50, Canon Speedlite 470EX-AI FlashLeave a comment on Canon EOS M50, Rebel T7, Speedlite 470EX-AI Flash Announced ! Canon has announced three new products today: Speedlite 600EX II-RT Flash (B&H/Adorama), EF-M 28mm f/3.5 Macro IS STM Lens (B&H/Adorama), PowerShot SX620 HS (B&H/Adorama). 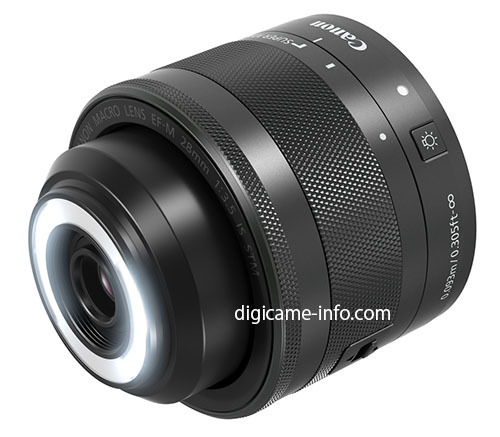 The previous rumored EF-M 28mm f/3.5 Macro IS STM lens and Speedlite 600EX II-RT flash now confirmed, announcement will be in next several days. Canon Speedlite 600EX-RT II to be Announced Soon ! 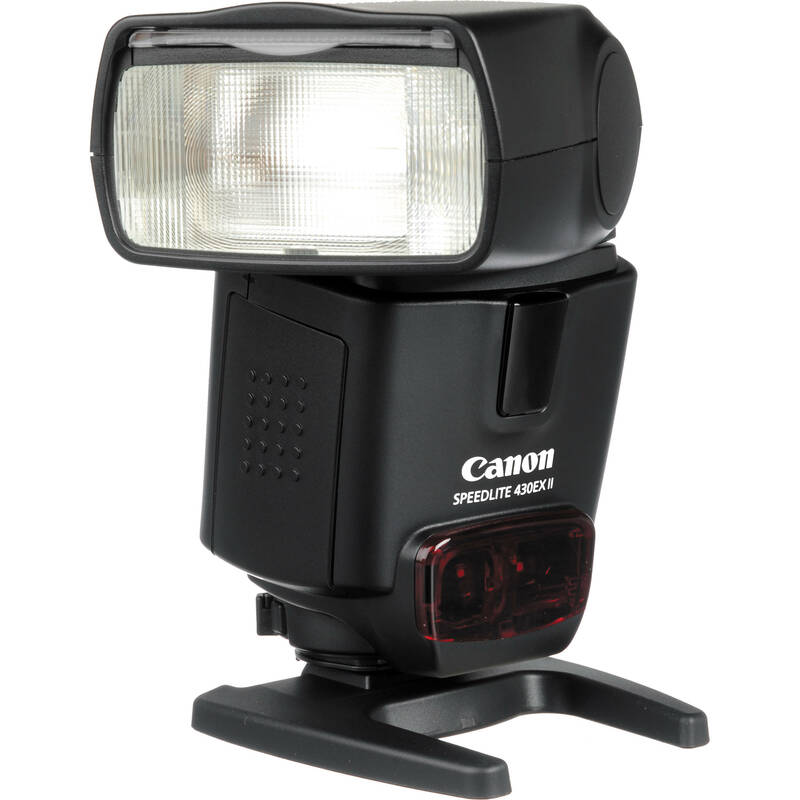 Along with upcoming EF-M 28mm f/3.5 IS STM Macro lens, Canon will also update their Speedlite 600EX-RT flash. The new Speedlit 600EX-RT II is likely to be announced as early as next week. Author CameraeggPosted on May 6, 2016 Categories Canon FlashTags Canon Rumors, Canon Speedlite 600EX II-RTLeave a comment on Canon Speedlite 600EX-RT II to be Announced Soon ! Canon Announced 430EX III-RT Speedlite, Price $299 ! 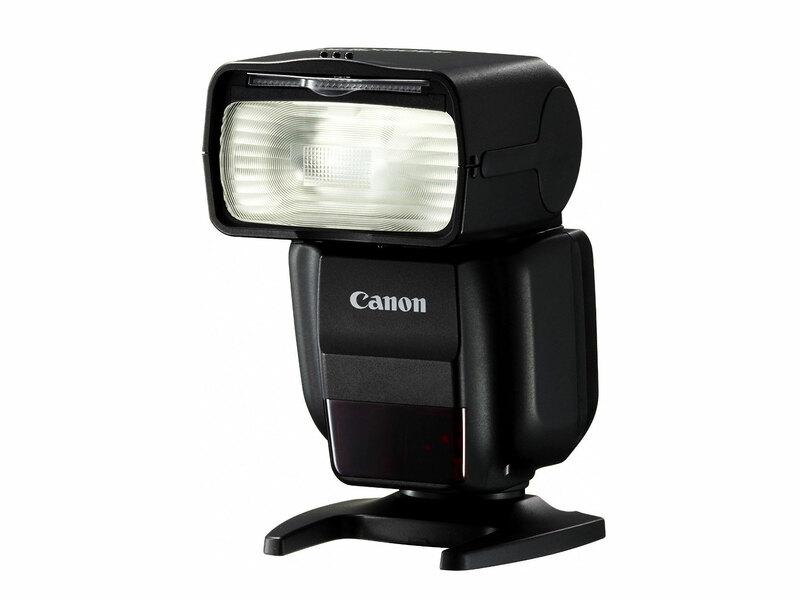 Canon has announced its 430EX III-RT midrange Speedlite. It replaced current 430EX II speedlite with features like faster, smaller, lighter. It offer longer ranges, more flexible positioning, and no line-of-sight requirement like traditional optical wireless flash systems. 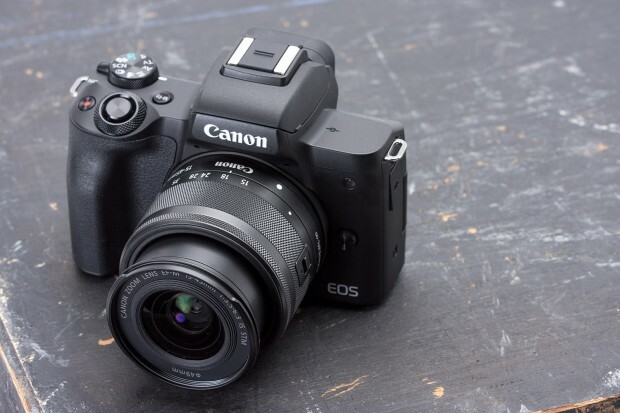 Unlike its more expensive sibling, the 430EX III-RT can serve only as a slave. It can be controlled using either radio or optical systems. Other new features include refined rear controls, which include a larger LCD and new scroll wheel. In addition to tilting upward 90 degrees the flash can also rotate 150 degrees left and 180 degrees right. A catchlight panel is also included. There are now 10 custom as well as 8 personal functions. 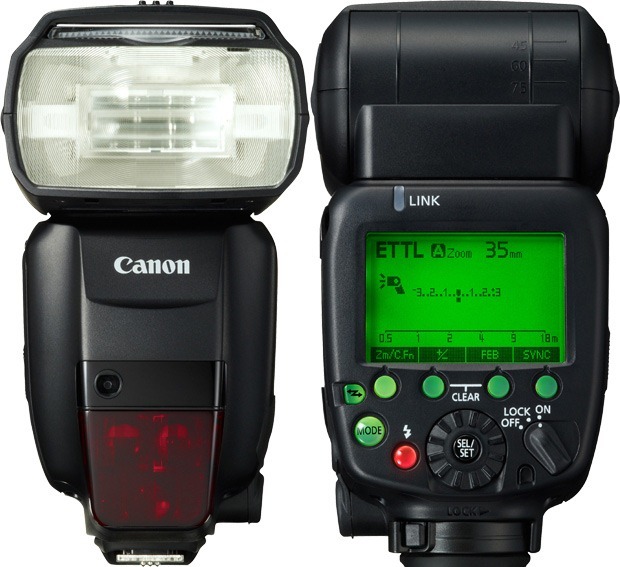 Author CameraeggPosted on July 8, 2015 July 8, 2015 Categories Canon FlashTags Canon 430EX III-RT Speedlite, PriceLeave a comment on Canon Announced 430EX III-RT Speedlite, Price $299 ! 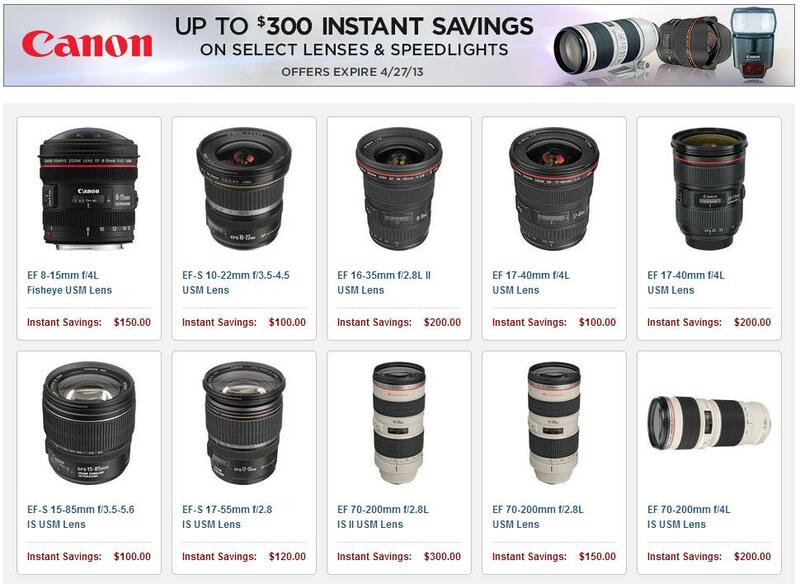 Canon USA starts a new mail-in rebates and instant rebates on Canon EOS cameras, EF lenses, Speedlites. Recent rumors from CR shows that a new flash will be released before year end. 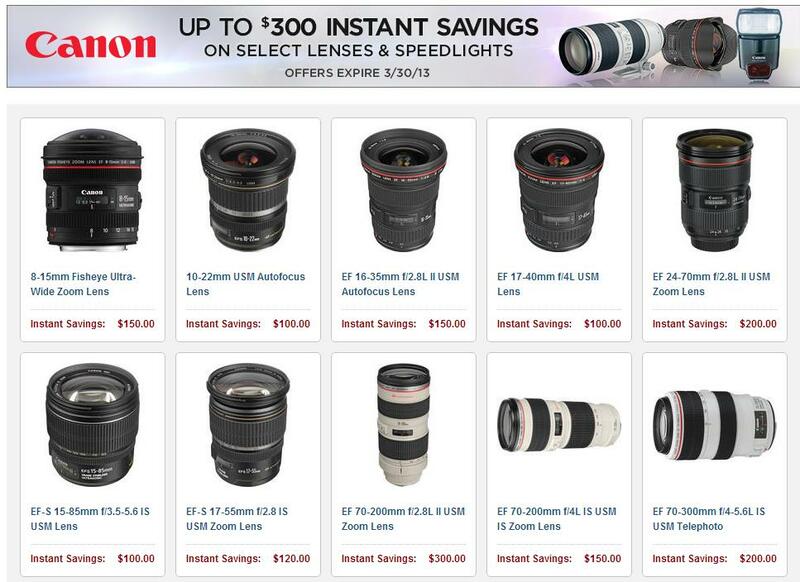 Canon USA new instant rebates program now available. 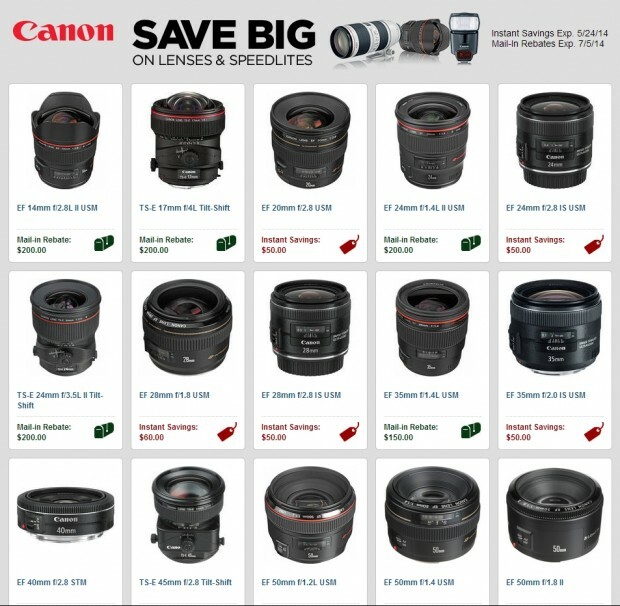 Starts on April 14, 2013 and end on April 27, 2013, you can get up to $300 off on selected DSLRs, Lenses, Speedlights.